I have no other words. In a matter of hours, I am flying the coop and heading off to Goa, India for the week. So I’m leaving you with these songs to take you through to a weekend filled with fancypantsdance, sunlight, colours and spicy spicy curries. There are so many great memories that go with a few of these songs, from choreographed wedding dances (which I managed to not mangle completely) and the funnest Bollywood nights during uni. And some of these opuses, how could you not love them? I remember tracking down Jaan Pehechaan Ho immediately after watching Ghost World when I was in high school. So many of these went on repeat. And I hope you like them too. 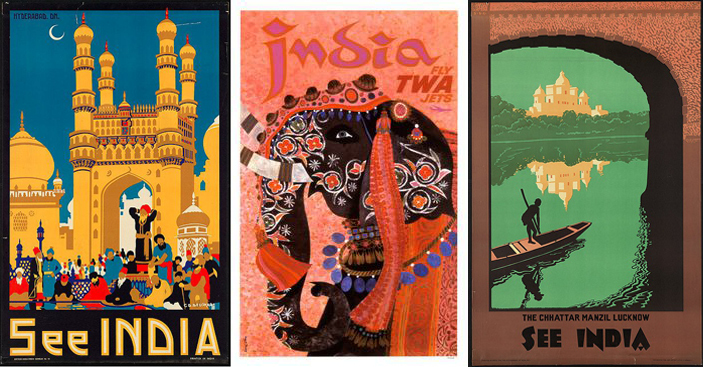 **The Boston Public Library Flickr is the source for vintage travel posters. I could spend hours here and decorate entire walls from this. Categories: goaway, hear/see | Tags: bollywood, india, travelwalla, vintage | Permalink.